My fitness philosophy as a personal trainer is derived from my study and understanding that the human body and the human soul are connected. Many of my clients are not just suffering with weight management and nutrition, they are suffering in their personal relationships and at work. With that in mind, it is my goal to free those energies through compassionate listening as well as an engineered training program specifically dialed in to my clients needs. I focus on cardio, nutrition, weight training and exercise as fun, not work. I am a member as a graduate of the Professional Fitness Trainer Association with an emphasis on nutrition, strength training, exercise physiology, fitness assessment and and education in varied fitness training apparatus including, but not limited to stability balls, kettlebell training, medicine balls, free weight and commercial fitness machines. I was born and raised in Galveston, Texas. I graduated high school and moved to Tucson, Arizona, attended school and enjoyed the desert. 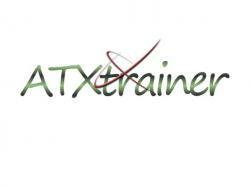 I am currently back in Texas and have made my home in the Austin area, training clients in and around the city. I look forward to the rewards of each new day.